Black women may be magical, but we’re not invincible. And while #selfcare is trending, putting those hashtags into practice on a consistent basis is a whole different struggle. 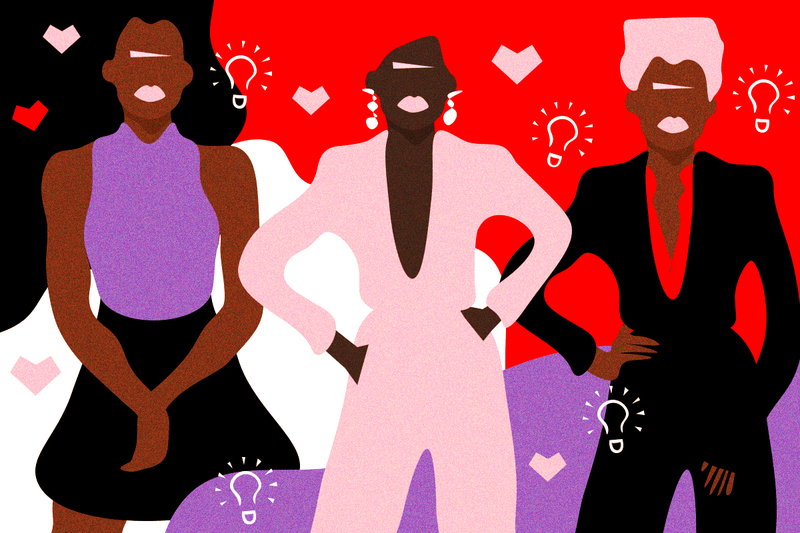 We need support, advice, and guidance—especially since those things can be hard to come by—so we asked Black women healing experts from around the country to share their self-care tips for Black women. Meet our expert panel: Selah Bey, CEO of Moor Astrology and a doula and community astrologist in the D.C. area; Trinya Smith, an educator and professional coach living on the West Coast; Grammy-nominated singer Maimouna Youssef, who uses her art to communicate healing techniques from ancient African and indigenous cultures; and Dr. Renette Dallas, a pastor, veteran, author, entrepreneur, and vegan chef with a talent for mentoring. Finally, we look at some tips from Dr. Joy’s Therapy for Black Girls podcast. Bey tells HG that she says this often to her friends and clients. More often than not, many of the people who seek out her advice have neglected to drink enough water. It sounds simple, but without the basics, you can’t be great. If your goal is to slay, then why not fuel up? Bey’s main goal with advising her pregnant clients is to make sure they feel fulfilled as mothers-to-be. Her first client was habitually dehydrated. In order to get her drinking more water, Bey helped her come up with rituals where she would pray, drink, stretch, and talk to the baby. These acts were simple and tied drinking water to something she truly valued—spending time with her unborn child. Being intentional about simple things like drinking water can be life-changing. This is not a diss. This is a call to critical reflection. While many of us strive for excellence in our careers, classes, and curls, we often fail to bring the same energy to our well-being. As Smith likes to say, “Our hair growth, personal resilience, and spiritual insight can illuminate the world.” The goal with this type of thinking is to treat your self-care regimen like you treat your makeup or fitness routine. Go hard for yourself. We put in all these hours so that men have less of an excuse to dismiss us in the office, but then we’re just blah about self-care. This needs to stop because we deserve so much more than the bare minimum. There is no substitute for a relationship with a licensed mental health professional. Self-care is mental health and wellness. It’s not just a buzzword involving an occasional massage or Netflix binge. There are self-esteem exercises you can do, like listing the great things you’ve done or writing out a coping strategy for when you’re triggered. While seeking therapy is not as taboo as it once was, there are still some very prevalent stigmas in the Black community. There is also the temptation to humblebrag about self-care rather than commit to boundaries and practice healthy, realistic coping skills. As Dr. Joy says, we must make time to think about “all the small decisions we can make to become our best possible selves.” Therapy is an investment in the person we aspire to be. Therapy doesn’t have to be a dirty word and it doesn’t only need to happen in response to a crisis. This tip is more than a play on the title of one of the most up-tempo tracks of all time. This is advice that has meant a world of difference for Black women struggling to navigate barriers to self-care. In her song “I Got a Feeling,” Youssef expresses the absolute necessity of accepting the validity of our intuition. Sometimes that feeling means, “Wherever the groove goes, I got to follow…soul go high, low, seeking survival.” At other times, it’s about facing your trauma head-on. Our intuition is a survival mechanism, and we have a responsibility to heed its teachings. Taking your soul’s advice can mean letting go of toxic relationships. It can also mean pursuing a risky career path. The point is that you deserve to know just how beautiful your life can be once you embrace your feelings. Minister Dallas does a lot. Like—a lot a lot. She is an ordained minister. She’s a naturopathic doctor. She is a U.S. National Guard veteran. Dr. Dallas is also a vegan chef and athlete. Her healthy popcorn, True Pop, was recently picked up by Whole Foods. She’s been featured in Forbes magazine. So how on earth does she find the time for self-care? For her, she knows that God has a plan and she rests in that faith. While some presidents (who shall remain nameless) have give Christians a bad rap, Dr. Dallas embraces the teachings of Mark 4:39: Peace be still. It seems like we’re always going, but moments of stillness can change our perspective. We can use the quiet to ease our anxiety and re-assess relationships. There is no perfectly prescribed time, but even two minutes can have a meaningful impact on our health. We are uniquely positioned between the impenetrable superwoman and the asexual mammy tropes. Instead of resting in our resilience, let’s challenge each other (and ourselves) to be vulnerable more often. Self-care can be freeing and empowering. There is no “one-size-fits-all” self-care method. As spring blooms, it’s the perfect time to start using these tips to practice self-care. You deserve this and more importantly, you got this.